ROLPA, July 4: Normal life remained tense in Rolpa on Tuesday due to the general strike imposed by the Netra Bikram Chand-led CPN Maoist. Cadres and leaders of the party obstructed vehicular movement since early morning. While no vehicles were allowed to enter or come out of the district headquarters, markets remained open. Many travelers were left stranded due to the strike. Chand's party members announced the indefinite strike by releasing a statement on Monday evening. 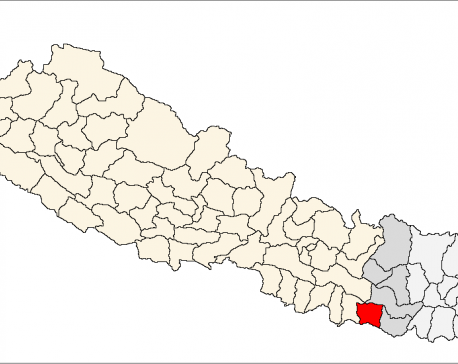 The release which was submitted by the party's District Secretary Dal Bahadur Khatri stated that Bir Bahadur Oli of Rolpa Municipality-10 had been arrested by the police for no reason. So, the party has decided to continue its strike as long as Oli is not freed, the statement said. During the local elections, police had arrested Oli after suspecting that he dropped acid in the ballot box. But the Maoist party claims that Oli has been falsely accused of breaching the election law though he is innocent. Police have released other cadres and members of the party who were arrested before elections for conducting unethical activities.